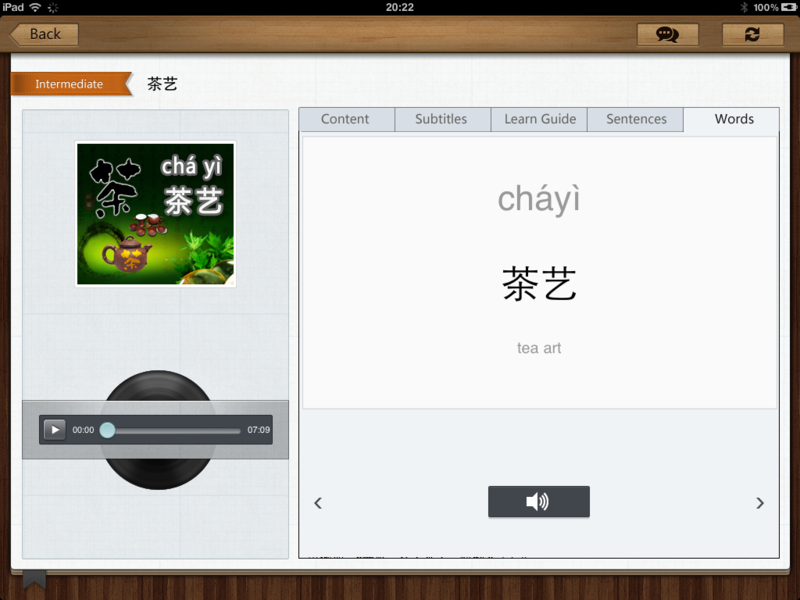 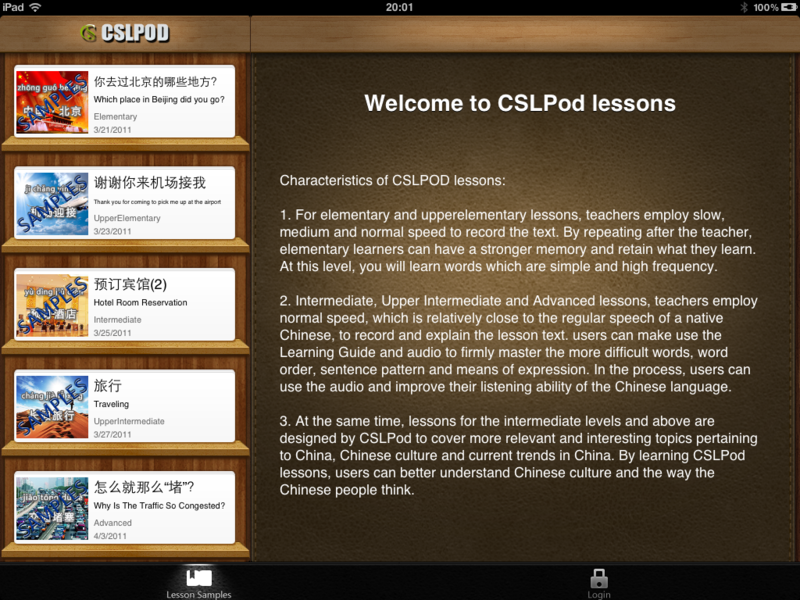 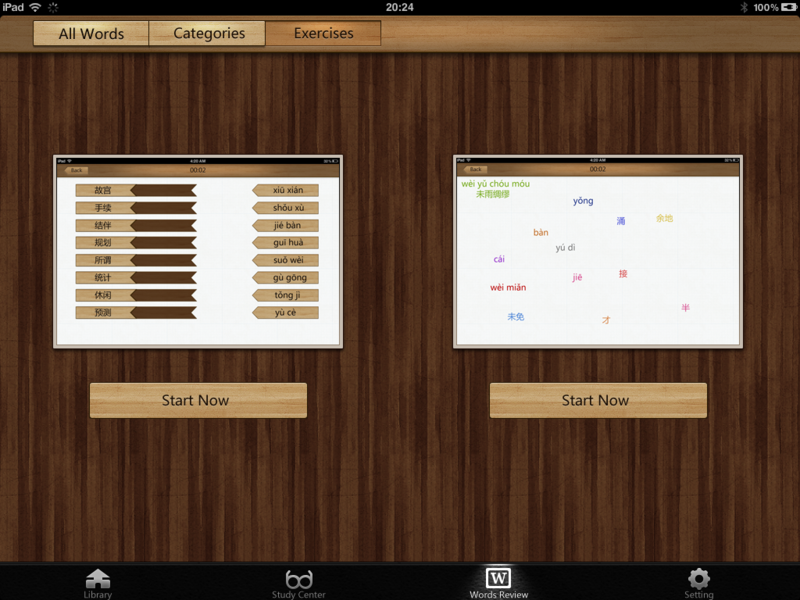 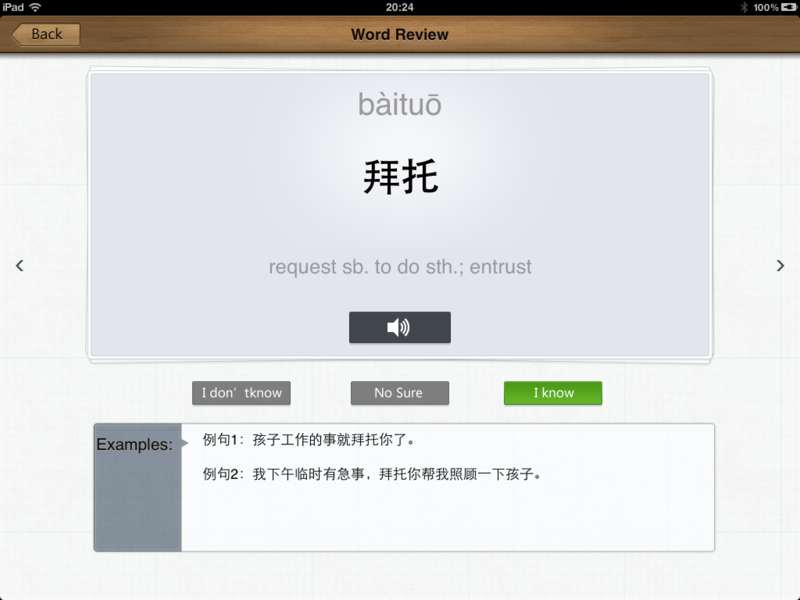 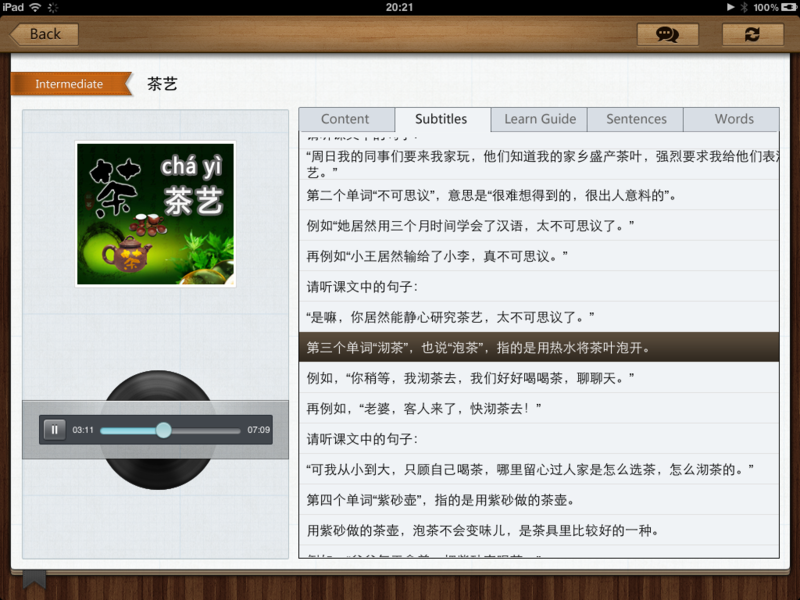 Learn Chinese with CSLPOD (iPad HD) is a smart iPad app which helps you to learn Chinese in Chinese way. 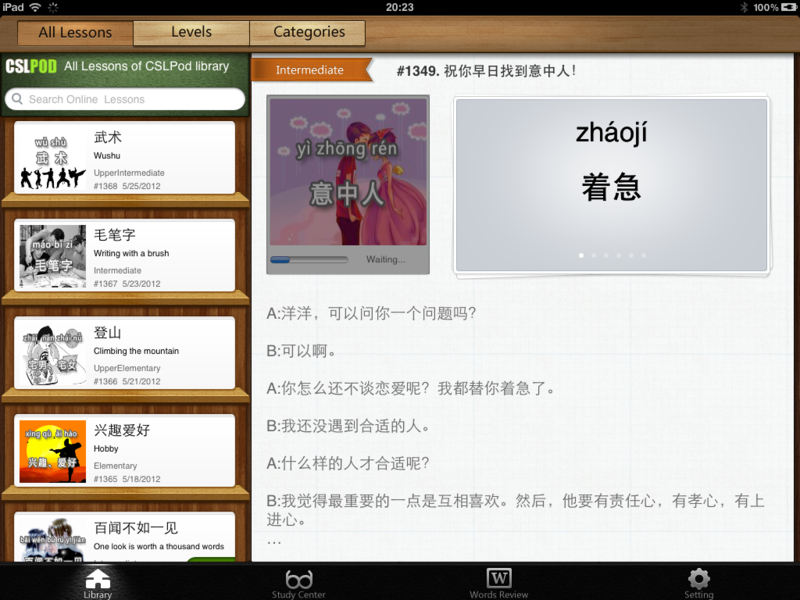 With this app, user can download lessons from CSLPOD library. 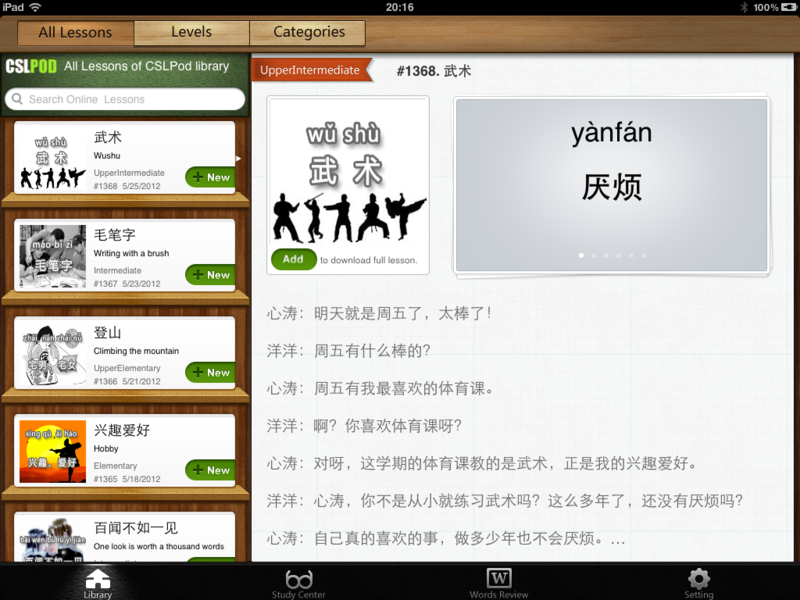 CSLPOD library contain over 1300 lessons, covering 18 categories(Bussiness, travel, culture and so on). 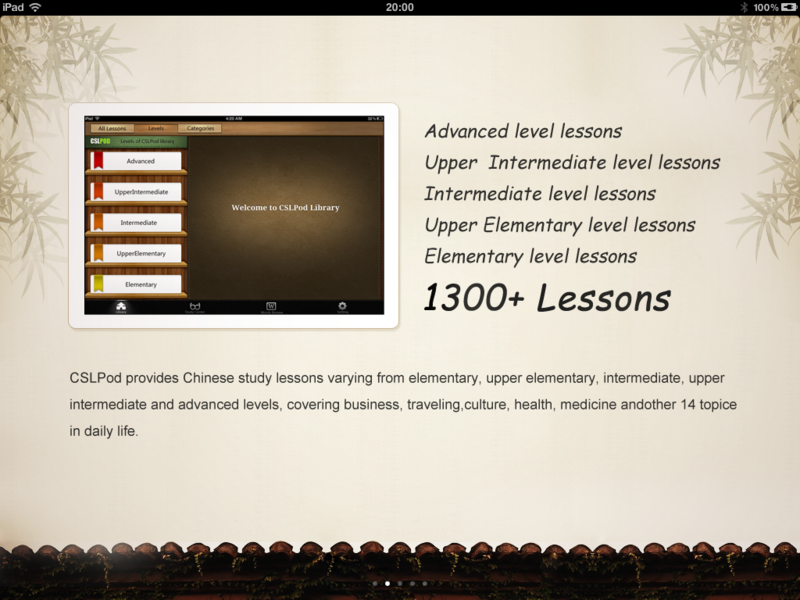 All the lessons are divided into five levels(Elementary, Upper Elementary, Intermediate, Upper Intermediate and Advanced). 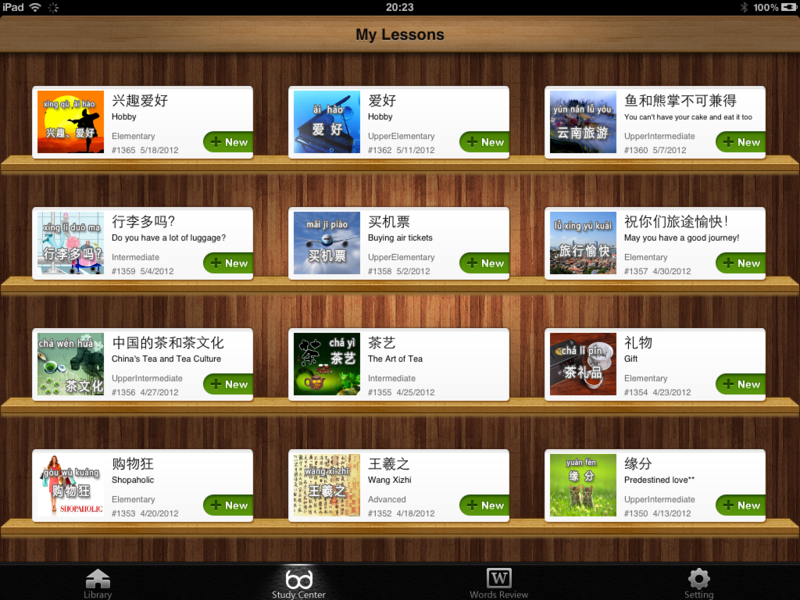 Every lesson has text, text pinyin, audio captions,text translation, detail explanation, vocabulary, audios and games which make your Chinese study convenient and available anytime, anywhere. 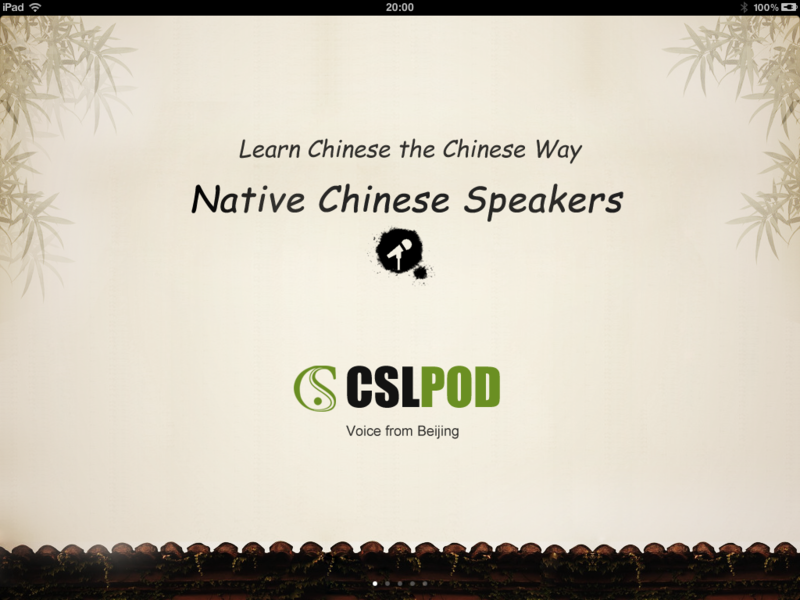 Access our website, www.cslpod.com, to get more details.